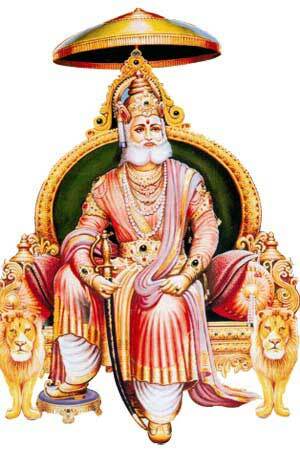 Maharaja Agrasen Jayanti is the birth anniversary of Maharaj Agrasen. The Agrawal and Agrahari community trace their origin to Maharaja Agrasen. Maharaja Agrasen Jayanti 2019 date is September 29. The birth anniversary is annually observed on the first day of the waxing phase of moon in Ashwin month – Ashwin Shukla Paksha Pratipada. The popular belief is that Maharaja Agrasen was a contemporary of Sri Krishna. He was a Suryavanshi King in Dwapar Yuga. There are numerous other accounts that connect Agrasen Maharaj with Sri Krishna. Legend has that Agrasen Maharaj did severe Tapas and invoked Shiva, who advised him to worship Goddess Lakshmi. Agrasen Maharaj then performed tapas for Goddess Lakshmi. She appeared and asked him to take up business profession for the prosperity of his people. Thus Agrawal and Agrahari community members follow the tradition of business. Maharaja Agrasen Jayanti is observed annually on the first day of the waxing phase of moon in Ashwin month – Ashwin Shukla Paksha Pratipada.